We are so pleased to continue our close partnership with Cranbrook Academy of Art. The rich and diverse artwork we receive from their students and graduates, provides color and light to our work environment. You and a guest are invited to attend the annual Mercedes-Benz Financial Services Experiencing Perspectives art reception in Farmington Hills on Thursday, November 2 from 5:30 to 8:00 p.m.
We are so pleased to continue our close partnership with Cranbrook Academy of Art. The rich and diverse artwork we receive from their students and graduates, provides color and light to our MBFS work environment. At Mercedes-Benz Financial Services (MBFS), immense value is placed on the influence that art has in the workplace. Thanks to a special partnership with Cranbrook Academy of Art, we are able to enhance our work environment with cutting-edge art from their students and graduates. In celebration of that partnership, you and a guest are invited to attend the annual MBFS Experiencing Perspectives Farmington Hills art reception. Please join us for a dynamic panel discussion – How Art Shapes Our Space – followed by time to view the exhibitions, meet the artists, and be inspired. Beverages and hors d’oeuvres will be served. Please register for this event by Wednesday, October 26. At Mercedes-Benz Financial Services, immense value is placed on the influence that art has in the workplace. Thanks to a special partnership with Cranbrook Academy of Art, some of today’s most cutting-edge pieces from the academy’s graduate program enhance the MBFS work environment. You and a guest are invited to attend the annual Mercedes-Benz Financial Services Experiencing Perspectives art reception. 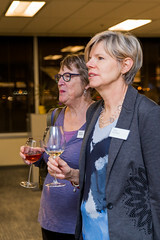 View the exhibition, make new connections and be inspired. Join Aaron Decker, the 2015 Mercedes-Benz Financial Services Emerging Artist Award winner, as he unveils artwork created during his summer residency in Berlin. Children’s art work from MBFS community partners, Beyond Basics and Art Road, will also be showcased. Beverages and hors d’oeuvres will be served. Art is a signature element of the Mercedes-Benz Financial Services workplace. Please join us as we celebrate our 15th installation of Experiencing Perspectives Art Exhibition, featuring student creations from Cranbrook Academy of Art, one of the most prestigious graduate programs for fine art. Enjoy cuisine and conversation. Meet the artists. View our employee art exhibit and pieces from Detroit’s budding artists in the Art Road and Beyond Basics elementary school programs. At Mercedes-Benz Financial Services, we place immense value on the influence that art has in the workplace. Thanks to a special partnership with Cranbrook Academy of Art, our employees experience some of today’s most cutting-edge pieces from the Academy’s graduate program. Please join us for the celebration of our 14th annual exhibition representing this partnership. You and a guest are invited to view the exhibition, make new connections and be inspired. Beverages and hors d’oeuvres will be served. Special remarks will be given at 6:30 p.m. 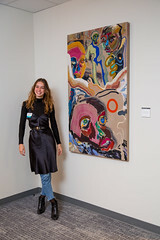 While our workplace might not be a gallery, it does display a diverse range of thought-provoking art from students and graduates of Cranbrook Academy of Art as well as other seasoned and emerging artists of all ages. We invite you to celebrate the arts with us as we explore these works and their role in sparking innovation and change. 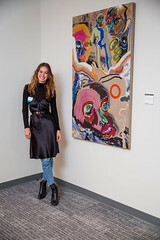 While our workplace might not be a gallery, it does house cutting-edge art from local artists and graduate students from Cranbrook Academy of Art. To explore the art and the question of what role art can play in being a catalyst for change and inspiration, we invite you to join us for an evening celebrating the arts. Farmington Hills, MI – Can Art Rebuild a Community? This is not a rhetorical question, but an immediate one for our area. Join Mercedes-Benz Financial Services as we explore this question and the possibilities for our community at our third annual Experiencing Perspectives community art forum. The mission of this series is to sustain ongoing and constructive dialogue about the role of the arts in our region by bringing together people from diverse backgrounds and experiences. As Michigan works to redefine itself on many levels, we will explore the purpose art serves in the places where we live and work. You and a guest are invited to bring your views, ideas and opinions to a dynamic panel discussion with educators, politicians, artists and community leaders. We aim to challenge current ideas, generate new ones and explore the possibilities for rebuilding our communities through the arts. Following the panel discussion, art tours will be offered featuring works in the Daimler collection, including pieces from world renowned artists, Cranbrook Academy of Art students and local artists. Beverages and hors d’oeuvres will be served.